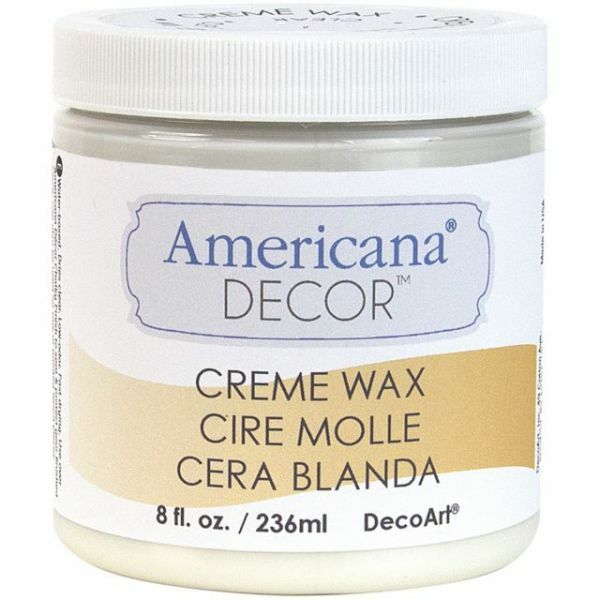 Americana Decor Creme Wax 8oz - DECO ART-Americana Decor Creme Wax. Add an antique finish or use on raw or painted wood pieces. 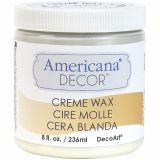 This package contains one 8oz jar of decor creme wax. Low-odor. Comes in a variety of colors. Each sold separately. Conforms to ASTM D 4236. Made in USA.